Lugano, Switzerland, 2 April 2019 - The European Society for Medical Oncology (ESMO) announced today that Prof. Jonas Bergh from the Karolinska Institutet in Stockholm will receive the newly established 2019 ESMO Breast Cancer Award in connection with the inaugural ESMO Breast Cancer Congress 2019 (2-4 May, Berlin, Germany). Profs. Sibylle Loibl and Giuseppe Curigliano, Co-Chairs of the ESMO Breast Cancer Congress, said: "Professor Jonas Bergh has conducted clinical trials with new drugs and individually tailored dosing of chemotherapy. The Swedish Group demonstrated in the first randomised study that five years of tamoxifen treatment is better that the previously recommended two years. He has been involved in showing the additional value of other drugs, in particular chemotherapy, in breast cancer treatment." Bergh is Cancer Theme Prefect and Director of Strategic Research Programme in Cancer at the Karolinska Institutet in Stockholm, Sweden, where he is also member of the Nobel Assembly and holds the Mimi Althainz' Professorship in Oncology. 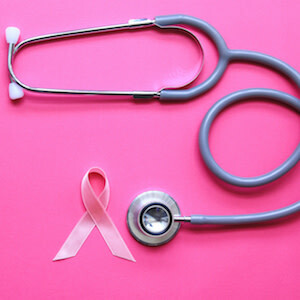 Bergh is also Senior Consultant in Oncology at the Karolinska University Hospital, Acting Chair of the Scientific Council in Oncology/Haematology for the European Medicines Agency (EMA), (3) Visiting Professor of Breast Cancer Research at Oxford University, and a fellow of the Royal College of Physicians in London, UK. Bergh's research is mainly focused on breast cancer biology, including alteration of characteristics during progression and tailored breast cancer treatments. He is Co-Chair of the Early Breast Cancer Trialists' Collaborative Group (EBCTCG), whose publications have had a global impact on primary breast cancer treatment, and was Chair of the Swedish Breast Cancer Group (SweBCG) between 1995 and 2016. "Prof Bergh's work has contributed to important progress in many aspects of cancer epidemiology, prevention, and treatment in breast cancer," said Curigliano. "Under his leadership, the EBCTCG has analysed immense amounts of clinical trial data. Their findings have provided crucial information to those of us who treat breast cancer patients." Bergh said he was "deeply honoured" to receive this award from ESMO, adding: "On behalf of many collaborators, I'm pleased that ESMO is acknowledging our research, which aims to understand breast cancer biology and appreciate the complexity of this disease - for example clonal development during tumour progression - which increases the complexity of management." He acknowledged the patients who have participated in his research, the research team at the Karolinska Institutet, the breast team at the Karolinska University Hospital, and former research collaborators at Uppsala University and Akademiska Sjukhuset. "I also would like to express my sincere thanks to SweBCG and the collaborators within the EBCTCG and the associated team in Oxford, in addition to a long list of other international collaborators, including the St.Gallen International Breast Cancer Conference and the International Consensus Conference for Advanced Breast Cancer (ABC) teams," he concluded. 2 The ESMO Breast Cancer Award session will be held on Thursday, 2 May, 13:45 to 14:15 (CEST) in the Maritim Hall. Jonas Bergh will give a keynote lecture entitled "A long and winding road: Aiming to understand how best to treat an increasingly complex disease"